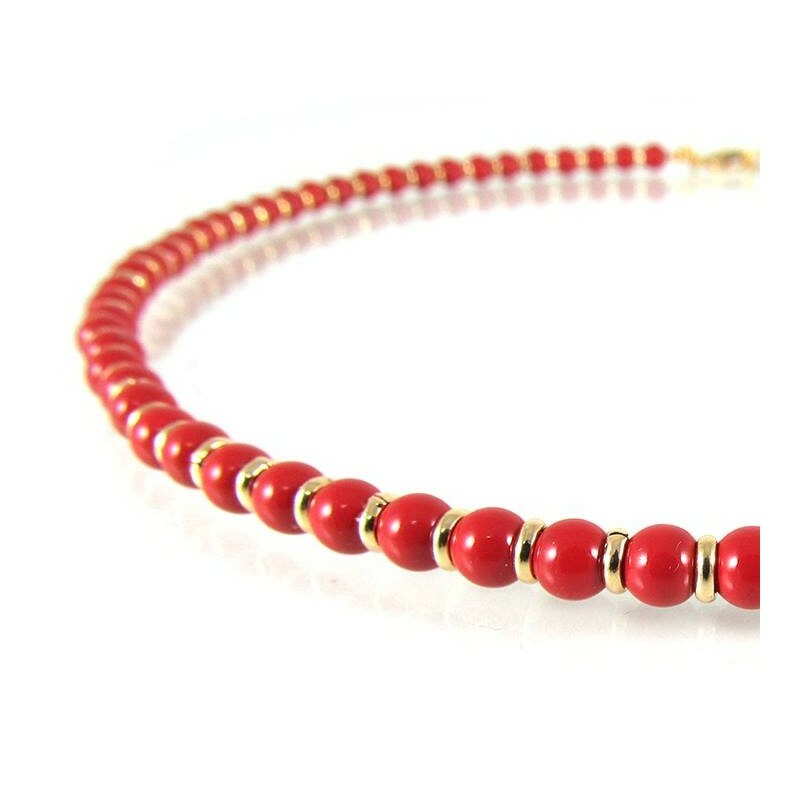 Red pearl necklace, choker style, classic red pearl necklace made of red Swarovski pearls and gold plated links. 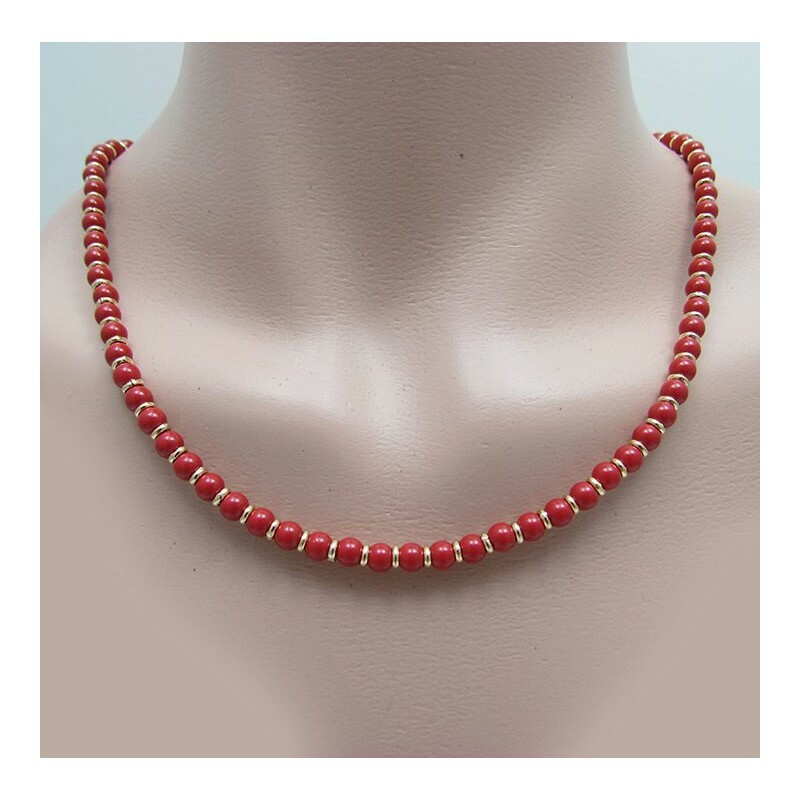 Red pearl Necklace length: 18" / 45 cm approx. 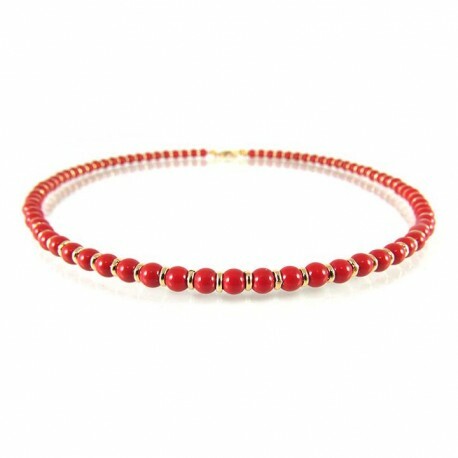 Red pearl necklace, suitable for bridesmaid, mother of the bride or the groom or even for everyday wear.